The final word on music's greatest legend, in which Philip Norman reveals a John Lennon the world has never seen. 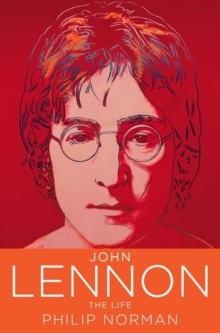 With ground-breaking insight into the pain, beauty and frustration that shaped the genius of modern music, John Lennon: The Definitive Biography redefines a legend. John Lennon - the iconic songwriter, composer and one quarter of The Beatles - was a giant of the twentieth century. As the founding member of the world's most successful group ever, he changed lives. The popularity and significance of The Beatles is beyond comparison in our age - in the UK alone, they released more than 40 number one singles and albums. But their impact extended well beyond their music. Their clothes, hairstyles, statements, and even their choice of instruments made them trend-setters from the 1960s to this day, while their growing social awareness - reflected in the development of their music - saw their influence extend into the social and cultural revolutions of the 1960s. Following the painful collapse of The Beatles, John came out a wiser but angrier person. Together with his wife Yoko Ono, he attempted to transform the world through non-musical means. Their bed-in in Amsterdam and Montreal, their black bag appearances on stage, their innocent flirting with political activists and radicals, all received massive media attention. These events were in search of world peace. John Lennon was shot dead by a mentally disturbed fan outside his New York apartment building on December 8, 1980. Featuring previously unseen photographs, this truly is the definitive John Lennon.